The two-block, low-rise hotel will open its doors to guests by the end of the year. It’s located in the company’s headquarters compound in western Hangzhou, the touristic capital of Zhejiang Province. The hotel is near a national wetland park and is less than an hour’s drive from downtown. Everything in the hotel is high-tech: a check-in counter managed by robots, face scan to operate the elevators and open the room doors. In addition, guests can control the room’s temperature, lighting and appliances with voice commands. For those who want to experience FlyZoo first-hand: A deluxe room starts from 1,399 yuan ($201) per night, provided that you book it during “Double 11,” a much-anticipated online shopping extravaganza in China that will end later this month. 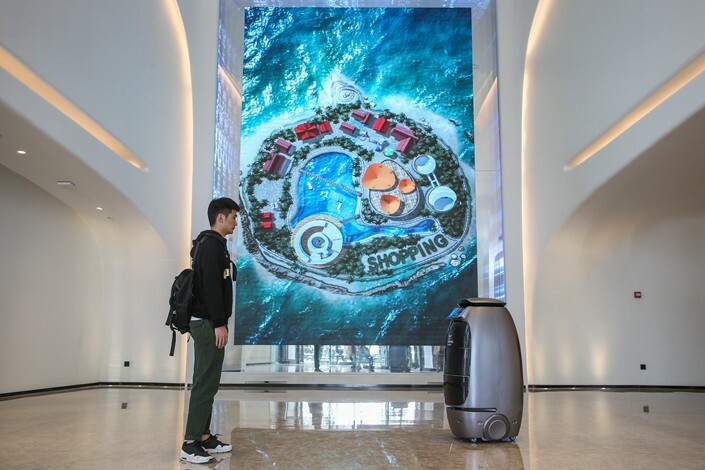 The room’s normal price is 3,000 yuan per night, more than double that of a nearby five-star Sheraton, and 50% more than a night at the Shangri-La, which is located at the city center, Caixin has learned.